The latest beauty trend to come out of Asia doesn't involve a billion-step skin-care regimen or snail-slime-infused products; it's much more twee. Allow us to introduce you to "heart hair." The hairstyle trend has been sweeping across social media since before Kendall Jenner's infamous hearts-made-of-hair picture broke the record for most-liked picture on Instagram back in June. 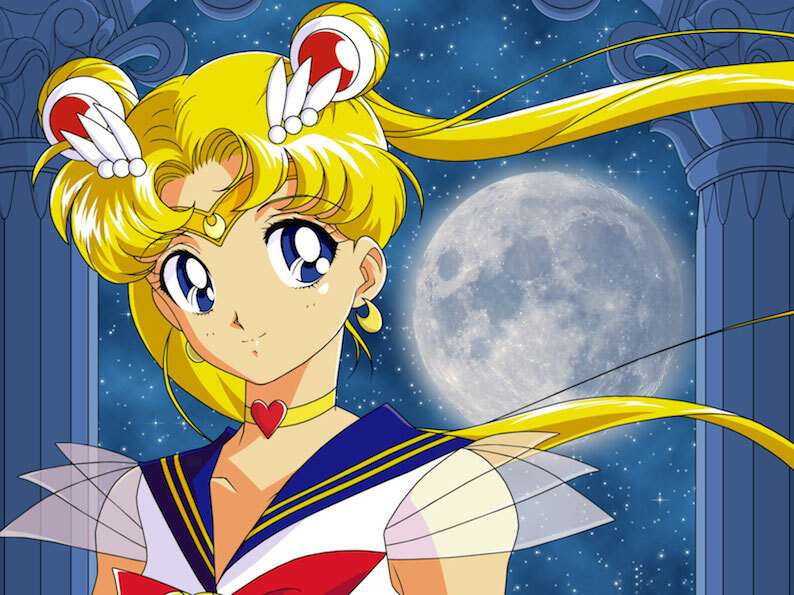 According to Asian news site Rocket News 24, ladies in both Korea and Japan are wearing their hearts on their foreheads (in true Sailor Moon fashion) instead of on their metaphorical sleeves. Because, why not? "It looks like it could have started because of K-pop fans who began pointing out heart shapes in their favorite idols' hair," explains our Korean corespondent Joyce Kong. "But mostly, the trend is just a snapshot of a highly Instagram-able moment when two strands become one heart. Consider it a new way to selfie." Do it for the 'gram, as we always say. American-blogger-turned-Tokyo-ex-pat Cynthia Popper adds that Japan is all about the "kawaii," or cute trends. She notes that these kinds of micro trends come and go extremely quickly. But don't let the cutesy style fool you: There's a serious technique to perfecting this 'do, which involves lots of flat-iron manipulation, bobby-pin holding, and hairspray. While it might seem like a lot of work for an adorable picture, it's definitely a sure-fire way to gain some hearts — in Instagram form. Plus, haven't we all spent 10+ minutes arranging our breakfast food into just the right brunch-table shot? Judge not, lest ye be judged, dear 'grammers.